Start making cocktails with this stylish copper bar set! The bar set consists of a cocktail shaker, cocktail filter and measuring glass. The cocktail shaker has a capacity of 500 ml and an integrated filter. Start making cocktails with this handy bar set! 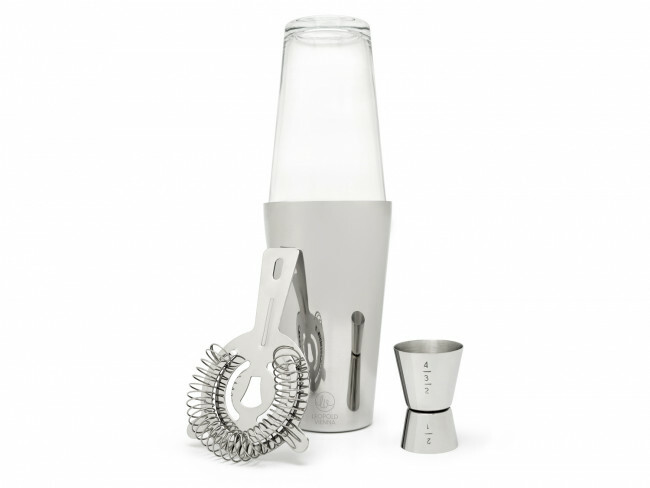 The bar set consists of a cocktail shaker, cocktail filter and measuring glass, and is dishwasher safe.